We've been working hard over the last few months to update the showroom and bring in New Arrivals and displays. It’s been great fun and we think its looking great even if we do say so ourselves. The main idea was to group brands and products together but also offer some inspiration for certain looks. We've brought in loads of new products and accessories to style your home. 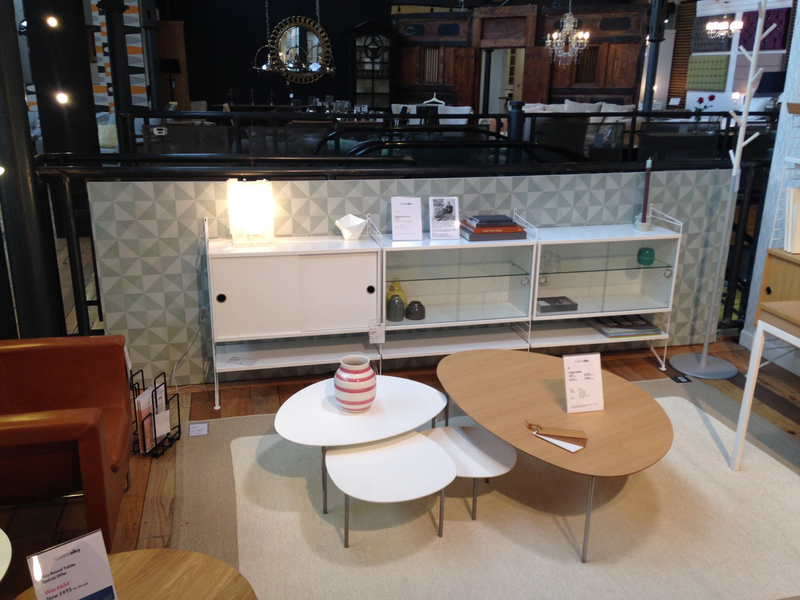 Our new Globus wall which we have teamed up with the Muuto Stacked and a Pappelina Svea Rug. STUA launched new colours of Globus in the polypropylene a while ago and together with the addition of black or white frames there are now over 60 options for this versatile chair. It’s lightweight and has a hole in the back making it really easy to mount on the wall. Visitors to the showroom are encouraged to take them down and try all different colour combinations around the various tables we have. We have created this dining area using STUA Lau Rectangle Table , Laclasica Chairs, and a Northern Lighting Acorn Pendant Light, the pale wood softens the monochrome look which we have used the Pappelina Lisa Rug, Darø Paso Floor Light. 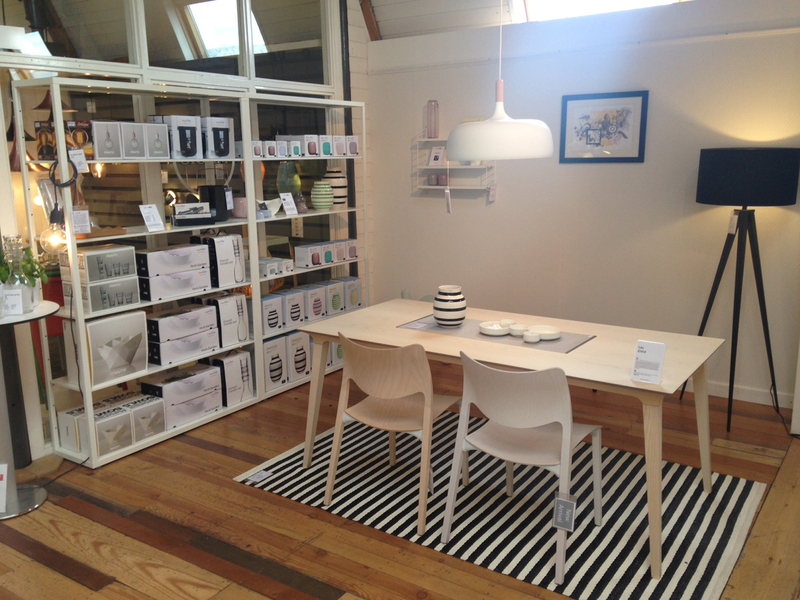 It’s also the area we have introduced our accessories from Muuto, Kahler, and Royal VKB. The back drop is Boråstapeter Ypsilon Wallpaper by Arne Jacobsen. In our String ® area we have added a back drop of Eco Dimensions Wallpaper in green. The theme here was neutral colours and natural materials against the green. STUA Eclipse Coffee Tables and Bruunmunch Play Round Tables are on top of the Pappelina Ilda Rug. Lighting has been a big part of or new displays and this area includes the Northern Lighting Berg Table Light and CPH Lighting Grid Pendant Light. If all this isn’t enough to get you rushing down (or up) to Redbrick Mill to visit us then maybe a bargain will! Of course with all these new products and changes there were inevitably a few pieces which didn't fit in. This means we have a few things to clear at a seriously silly price, but they are going fast so come and see us soon.